An all out battle in the hotly-contested SuperSports 600cc saw Mohd Zamri Baba land a maiden win in the third round of the PETRONAS Asia Road Racing (ARRC) at the Zhuhai International Circuit, China. Zamri dominated Race 1 to take the chequered flag from defending Champion, Katsuaki Fujiwara who’s run was interrupted by technical malfunctions five laps before the race ended. The PETRONAS Hong Leong Yamaha rider completed the intense 18-lap race within 29’40.562s followed by Ryuichi Kiyonari in second place with 29’40.935s and Yuki Ito third, 29’47.511s. Disappointed to miss the podium, Fujiwara returned stronger for Race 2. A flawless take-off saw the 38-year old dominate the race to claim his third win for the season within 29’38.581s but not without Zamri making his presence felt on the podium in second place with 29’39.236s followed by Ito third, 29’39.656s. “I had a good start in Race 1 to take an early lead but Fujiwara was quick to retaliate. From there I just trailed and applied on Fujiwara until his machine gave in. With Fujiwara out of the picture I expected an easy ride to the finish line but was surprised to see Kiyonari had already caught up with me despite the gap Fujiwara and I created. Luckily, I managed to overtake him in the final lap and win the race,” said Zamri. He went on to reflect on Race 2 and commented, “I had a slow start dropping to fourth. However, my Yamaha had a very good setup and I was able to close the gap with the frontrunners without much problem. Towards the end I was certain I could overtake Fujiwara who was leading the race but we ran out of time so I had to settle for second. It would have been sweeter to score a double win here in Zhuhai but overall I’m quite pleased with my performance. Much thanks to the team engineers for giving me a great setup,” added Zamri who is now placed third overall in the standings with 100 points. Kiyonari continues to lead the points chart with 113 points followed by Fujiwara second, 112 points. 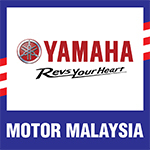 Meanwhile, Ahmad Afif Amran did the Hong Leong Yamaha contingent proud in the Underbone 115cc category to take his first podium for the season in Race 1. The CKJ Yamaha Racing rider who timed 22’19.686s finished second behind winner, Hadi Wijaya with 22’19.713s. Denny Triyugo came in third with 22’19.713s. Afif had high-hopes of winning Race 2 given his strong form but instead it was Indonesian, Yudhistira who took the chequered flag. Second came in Denny with 22’17.729s and third Mohd Amirul Ariff Musa, 22’17.748s. Hadi Wijaya continues to lead the Underbone 115cc standings with 122 points followed by Norizman Ismail second and Rey Ratukore third with 88 points and 76 points respectively.